This book provides a strong universal foundation in the core concepts and practice that are applicable in digital media. For a more in-depth look at digital media, the series includes two other books which each take either a technical or artistic perspective. The book covers the essentials of digital media – digital imaging, video, audio, and multimedia authoring. Analogies drawn from everyday life are used to explain abstract concepts. Software-specific videos show how to use popular digital media applications. For anyone interested in learning the basics of digital media. 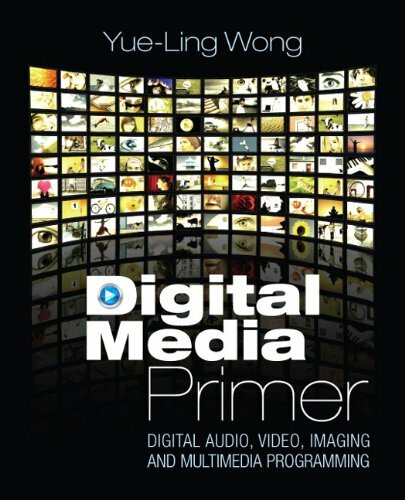 Yue-Ling Wong is the author for two of the proposed books in the Digital Media Series, A Primer of Digital Media and The Art of Digital Media. She holds a joint faculty position in the Computer Science and Art Departments at Wake Forest University as Lecturer in Digital Media. She has taught the Digital Media course of Computer Science Department, designed the multimedia labs for Computer Science 101 (a course for non-computer science majors), team-taught Art Department's Digital Art I, II and III, and taught courses in 3-D Modeling and Animation, and Advanced Web Programming. She is also designing and teaching a new introductory computer programming course using the visual approaches of interactive multimedia programming, game programming, and graphic animation. Dr. Wong has ten years of experience in developing interactive multimedia instructional material for both science and non-science disciplines. Her educational software package entitled Atomic Orbitals CD and published in 1997 by Jones and Bartlett Publishers was a finalist of the NewMedia magazine INVISION '97 award in the educational category.